Oct. 5, 2018 is the day Chicago stood still. Whether at home, work, school, the doctor’s office, on the bus, or outside the Criminal Court building on 26th and California, people huddled in silence around any TV, radio or cell phone live-streaming the happenings inside the courthouse. Hearts went into overdrive; pumping adrenaline in double-time to keep a bloodied and bruised people from keeling over in shock, praise, victory. The jury read its guilty verdict on each gunshot slowly and deliberately, forcing Chicago to relive all 16 shots. 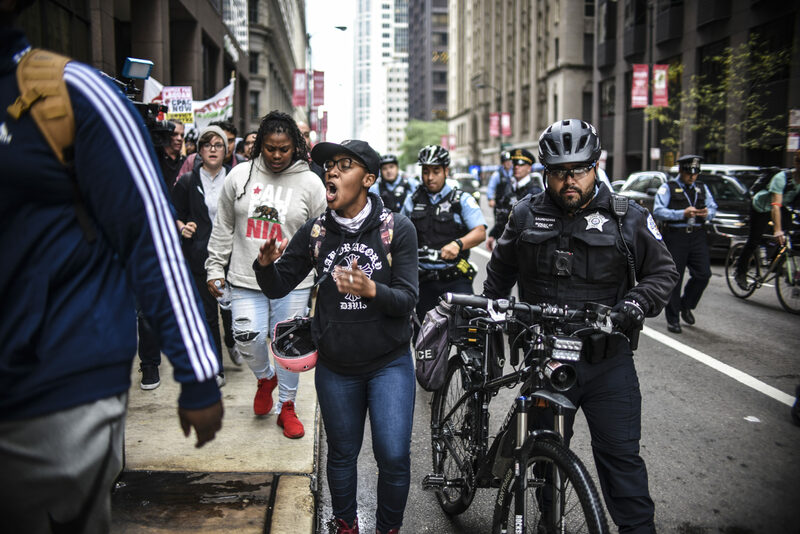 Though, not from the perspective of the harrowing police dash-cam video that captured Van Dyke, a Chicago Police officer at the time, firing 16 bullets into 17-year-old Laquan McDonald back in 2014. Old ladies want justice, too. Instead, Chicago re-lived all 16 shots from an unfamiliar place; a side of justice rarely, if ever, seen anytime a Black body is killed by white hands. According to the Chicago Tribune, Van Dyke is the first Chicago police officer in 50 years to be found guilty of murder for an on-duty shooting. He’s facing at least six years in prison. 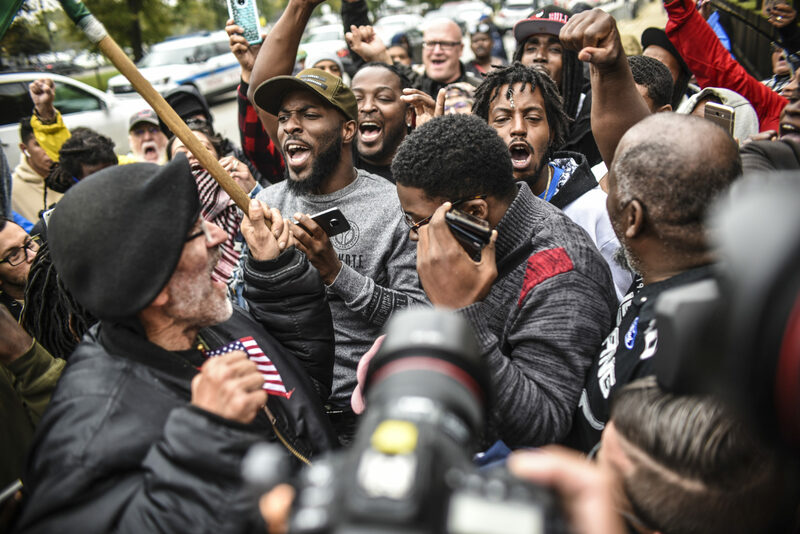 For many, Oct. 5, 2018 marked a new beginning for Chicago, a city defined by a long history of segregation and police brutality. 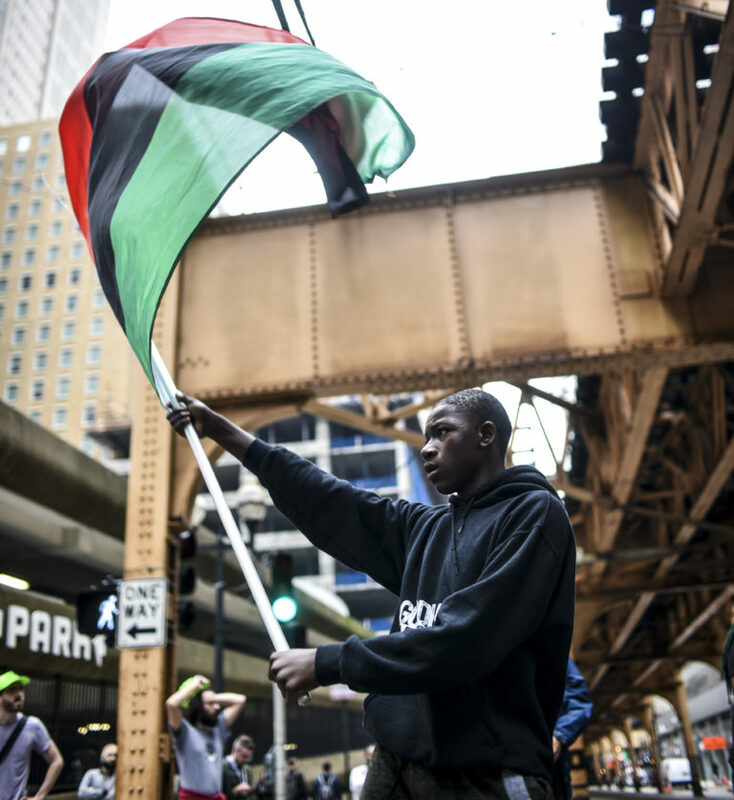 “What we’re seeing now – we’re seeing a revolution,” said Kirah Moe, a 26-year-old organizer from the East Side of Chicago. 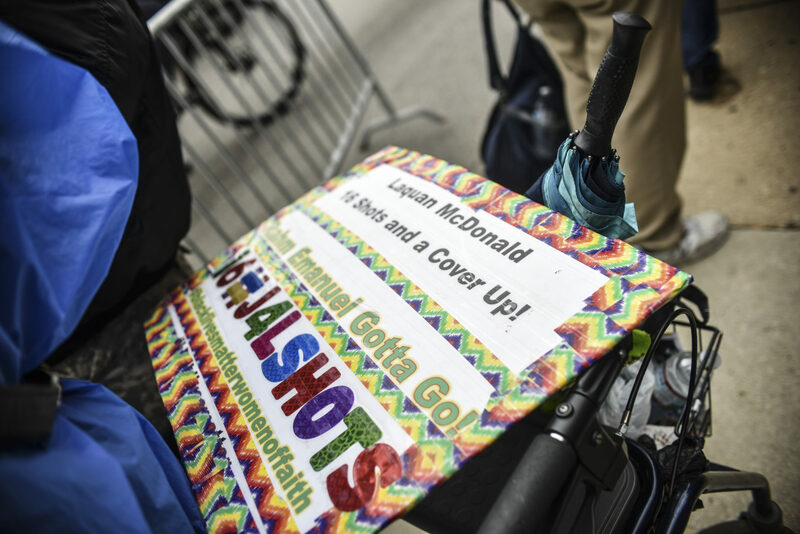 She joined the fight in 2015, when the work of activist William Calloway, alongside independent journalists Brandon Smith and Jamie Kalven, led to a judge forcing Mayor Rahm Emanuel to release the video of McDonald’s murder. 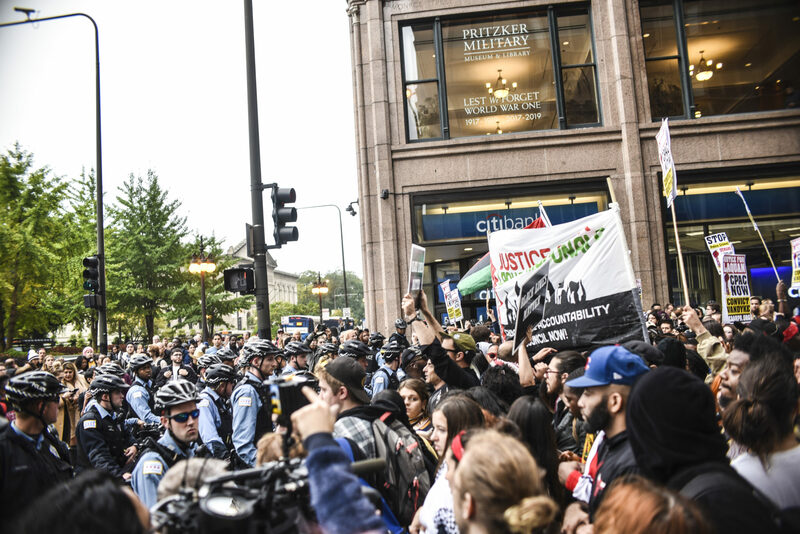 After the verdict, hundreds of Black and Brown organizers marched from downtown’s City Hall, through the Loop and down Michigan Avenue to not only celebrate a win for Laquan McDonald, but to show that the fight for justice isn’t over. 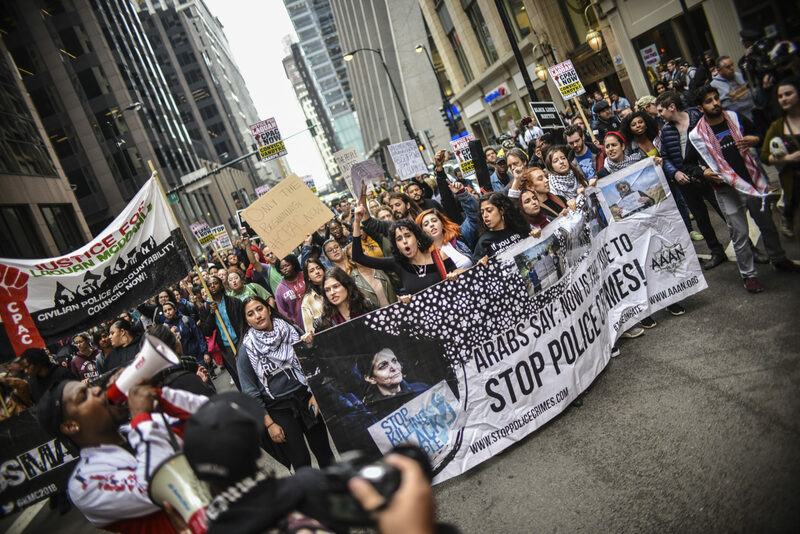 Women were among the leaders of Friday's march after the Van Dyke verdict. 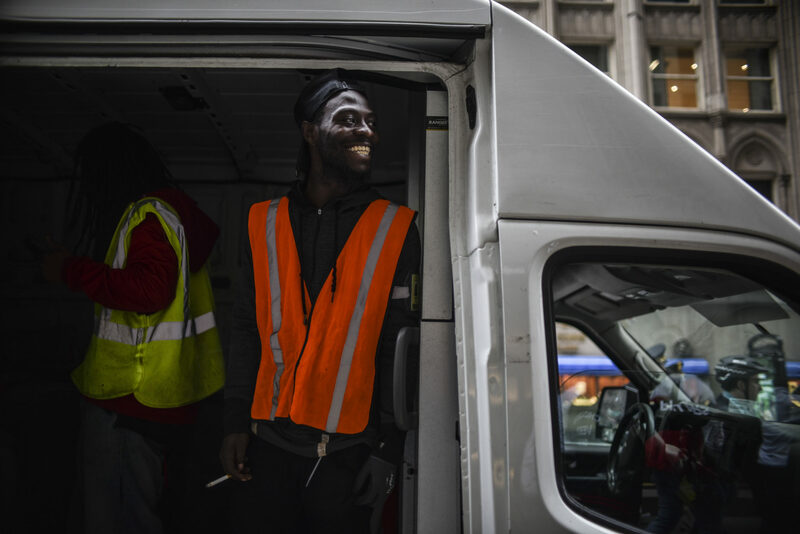 City workers smiling in support of the marchers. 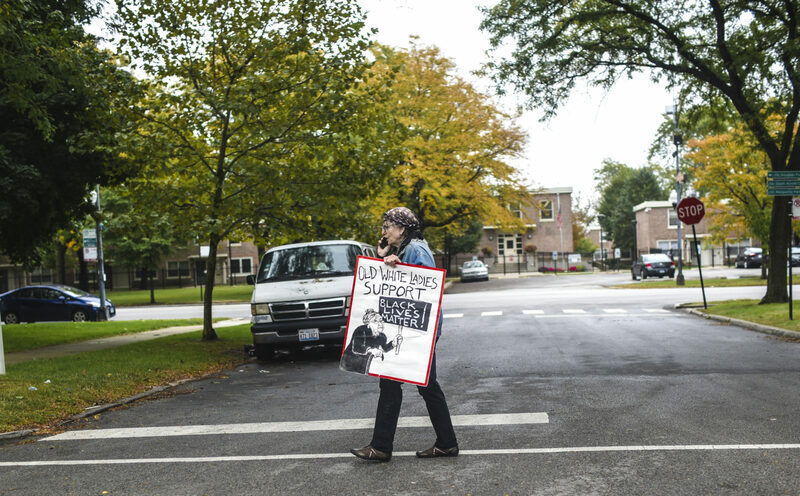 Van Dyke isn't the only person organizers want to see on trial. A moment of reflection amid the march. 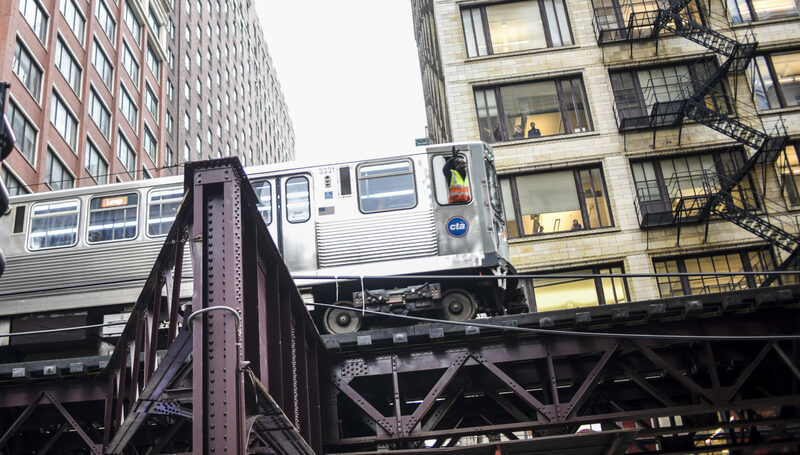 Even the El conductor is happy to see justice for Laquan McDonald. 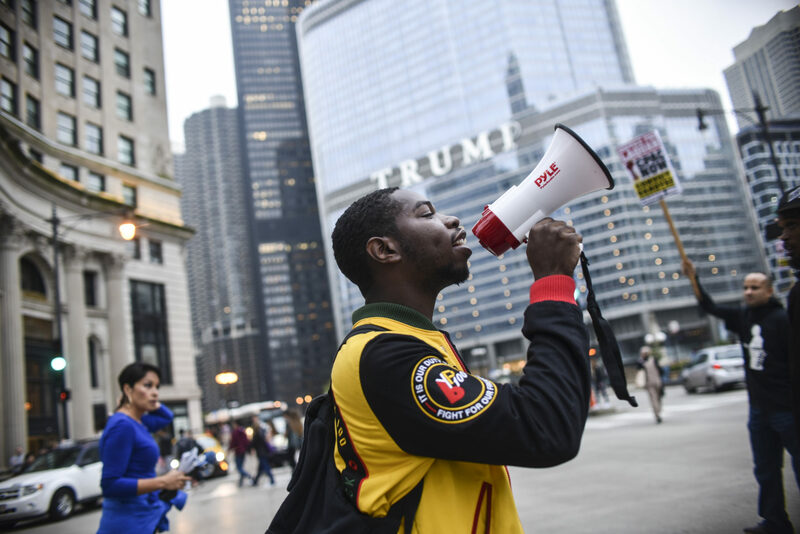 With Illinois and Chicago on the brink of two major elections, the Nov. 6 midterms and the mayoral/aldermanic on Feb. 26, there’s worry that millennials and iGen-ers of legal voting age won’t show up to the polls. According to CBS Chicago, voter turnout for millennials in March’s Illinois primaries was the lowest at 3 percent. Moe said it’s not that young people don’t care about voting and Chicago’s future. It’s more so that young people are tired of watching the same old politicians make promises to Black and Brown people early on, yet get into office and continue to starve-out Black and Brown communities with school closures, increased policing, economic disinvestment and more. The verdict left Alycia Moaton, 17, feeling more motivated and inspired than ever. 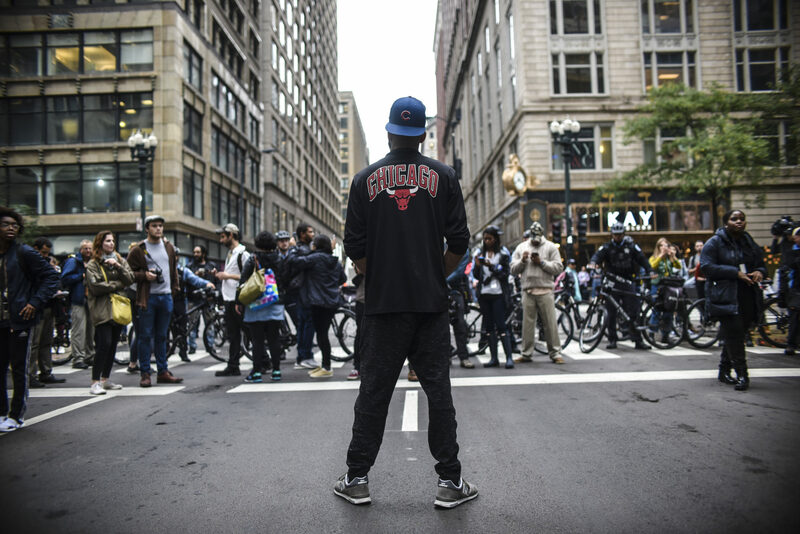 As a member of the anti-violence organization, Good Kids Mad City, Moaton sees first-hand the push for young people to stand up for their rights. 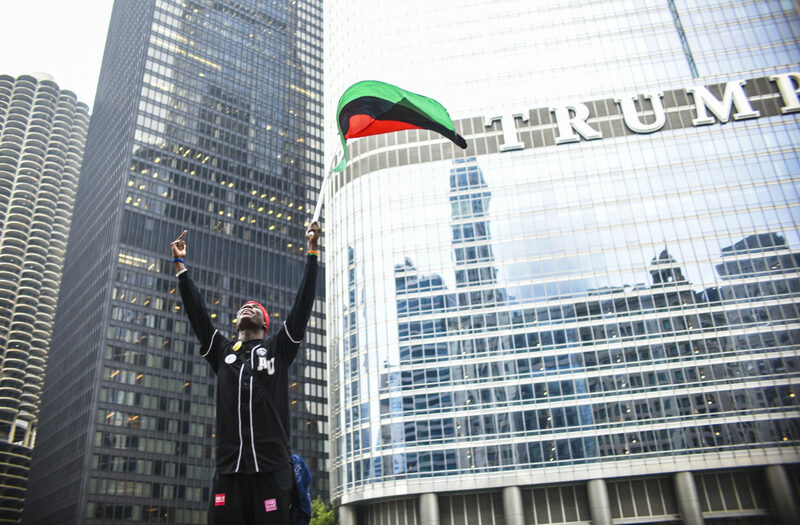 For Parrish Brown, a 22-year-old organizer with Black Youth Project 100, there’s still a lot of concern surrounding the Van Dyke verdict. Though the jury convicted Van Dyke of second-degree murder and 16 counts of aggravated battery with a firearm, they found him not guilty of a single count of official misconduct. Parrish Brown, a young organizer with BYP 100. In a press conference after the verdict, defense attorneys pointed to the jury’s not-guilty verdict on official misconduct as one of many flaws in the Van Dyke trial. The defense plans to appeal the verdict in the near future. 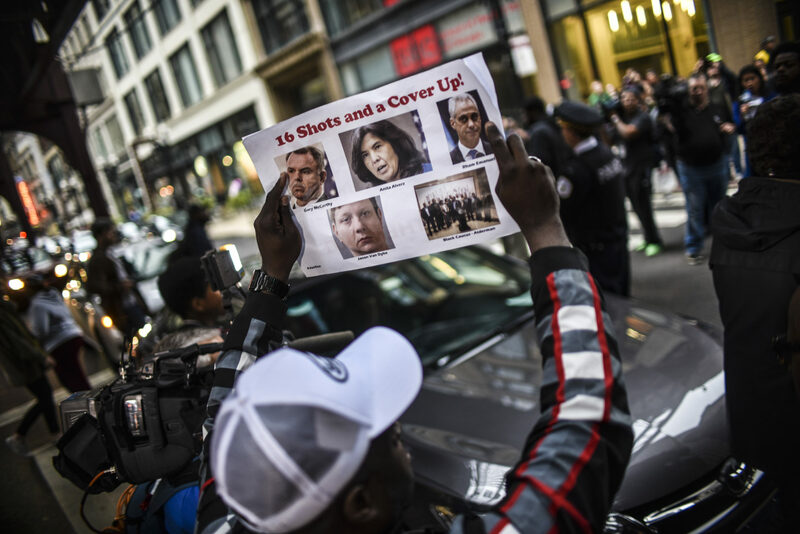 For him, next steps should be filing charges against Emanuel, Alvarez, McCarthy and others connected to the alleged cover-up of the Laquan McDonald shooting.